Rroooaaaaarrrr! What little boy wouldn’t like this friendly beast popping out of his birthday cake?? 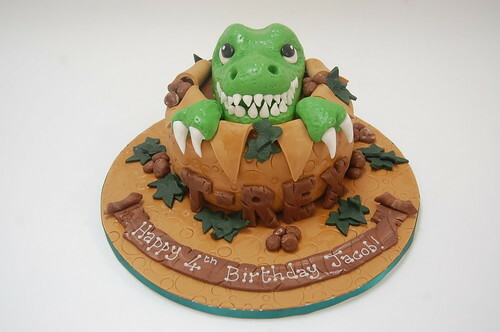 The T-Rex cake – from £80.